Application Deadline: 12.00 (noon) GMT on 21 March 2019. 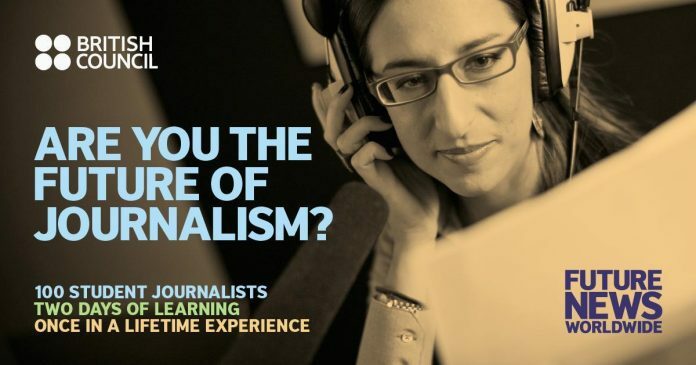 British Council Future News Worldwide is looking for 100 of the world’s most talented, motivated and passionate student journalists to attend an intensive media training programme. You’ll receive exclusive coaching from world-leading editors, broadcasters, writers and reporters, and see how publishers around the world are using technology to find stories and bring them to life like never before. If you’re a student or a recent graduate who’s passionate about journalism then we want to hear from you! Whether you’re a writer, blogger, vlogger, photographer, radio journalist or work in any other kind of media you can apply for a place at Future News Worldwide 2019 as long as you meet the eligibility requirements below. PLEASE NOTE: if you are shortlisted for a place at the conference you will be required to provide evidence of eligibility (identity, age, student status and English language ability). 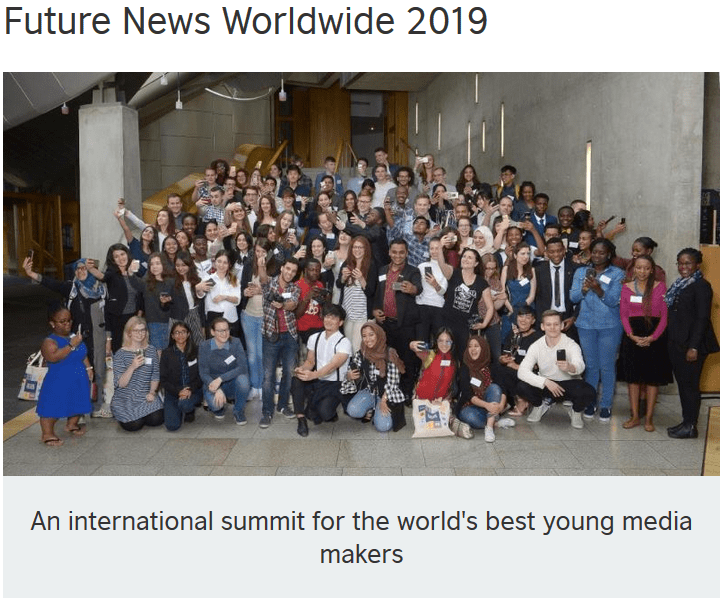 Future News Worldwide 2019 will take place on 16 and 17 July at Reuters UK headquarters in Canary Wharf, London. The conference is free for successful applicants and travel and accommodation costs will be covered. You can apply if you’re an undergraduate or postgraduate student or recent graduate and aged 18-25. Applications are welcome from anywhere in the world. The programme centres around a two-day conference in London, with English as the working language. The conference offers aspiring young journalists opportunities to develop practical and editorial skills and hear directly from some of the world’s most high-profile industry leaders, with a mixture of talks, interactive panel sessions, workshops and hands-on experiences. Applications close at 12.00 (noon) GMT on 21 March 2019. All answers must be submitted using the online application form. If you experience any technical difficulties please contact us: [email protected]. Please download, read and make sure you understand the terms and conditions and competition rules (below) before starting your application. Previous articleUNFCCC Global Climate Action Communications Internships 2019 – Bonn, Germany.